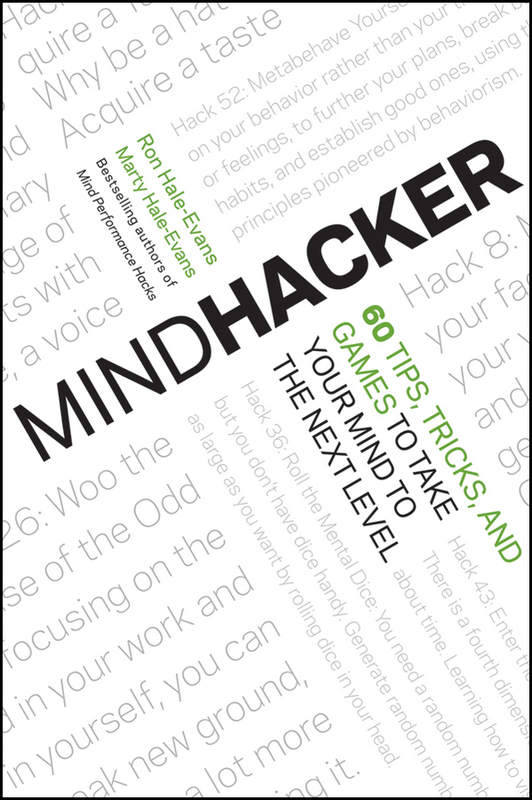 Mindhacker: 60 Tips, Tricks, and Games to Take Your Mind to the Next Level is the unofficial sequel to MindPerformanceHacks, by RonHaleEvans and MartyHaleEvans. The book follows the same basic outline as Mind Performance Hacks, with chapters on Creativity, Memory, Math, and so on. However, all of the hacks in these chapters are brand new. None of the hacks in Mindhacker assume you have read Mind Performance Hacks, although some of them expand on material from hacks in the first book. See MindhackerNotes for synopses of each of the 60 hacks, with late-breaking news and links.